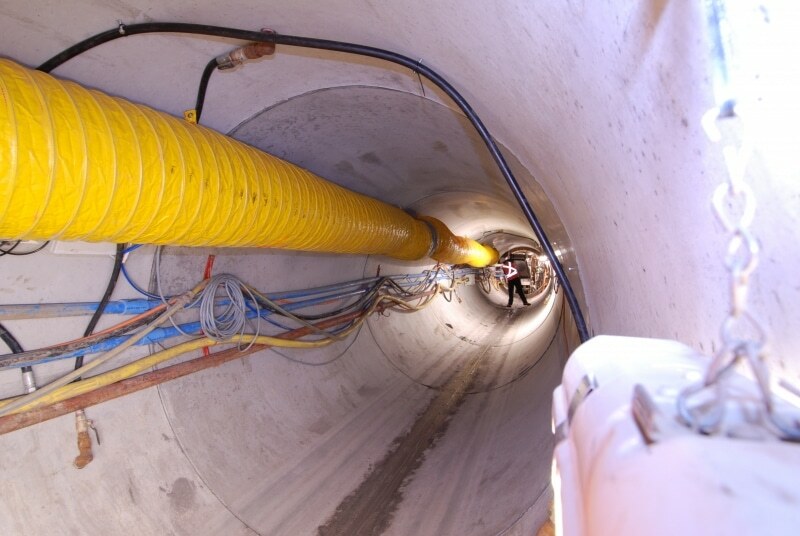 Design and construction of an 87 m long pipe-jacked, hydrostatic tunnel to carry 6 x 132kV circuit cables through water-charged soil beneath Burrows Road to an Energy Australia/Transgrid Substation. 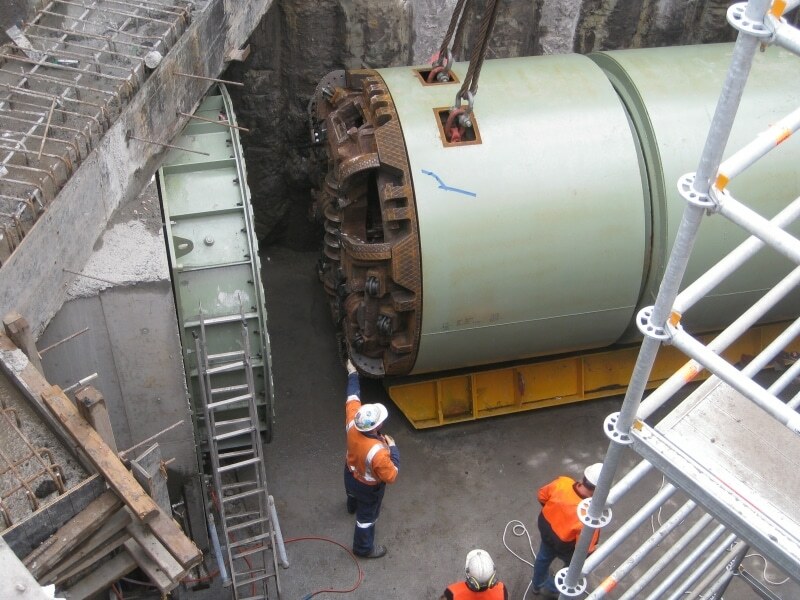 The scope of works included intensive geotechnical and environmental investigations to inform detailed design, service location identification through potholing, design and shoring of the launching and receiving pits, tunnel boring, pipe-jacked lining, and fitting out of the pits to act as permanent access facilities for Transgrid maintenance staff. 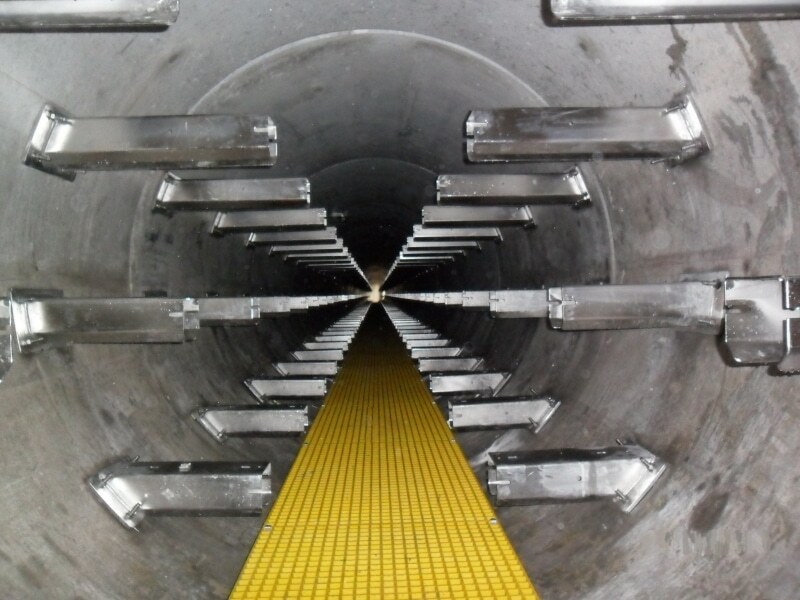 The entire tunnel lies below the ground water table adjacent to the Alexandria Canal, demanding innovative methods using hydrophilic crystals mixed with Bentonite to control groundwater seepage. 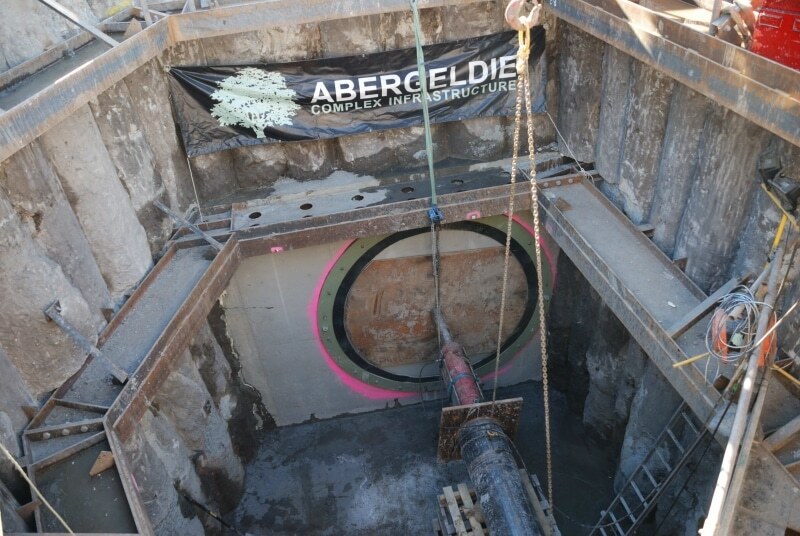 Traffic management and staging of materials deliveries were also critical, due to the very tight site conditions, which provided little space for storage of materials awaiting installation.